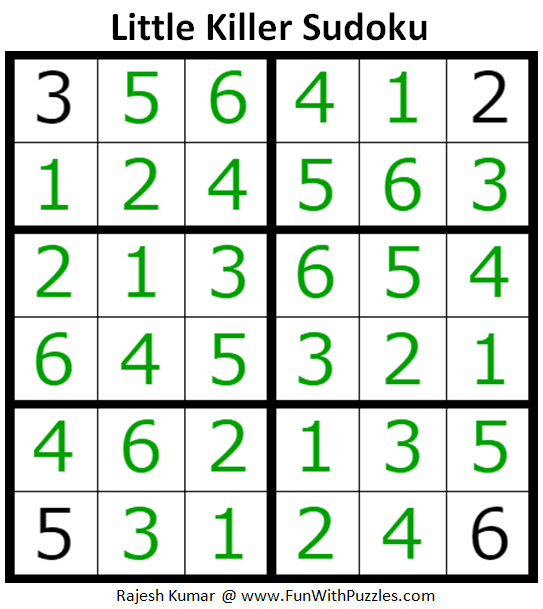 Little Killer Sudoku Puzzle type will test your logical as well as Mathematical skills. In Little Killer Sudoku puzzle, sum of numbers falling on a particular diagonal is given. Number can repeat on the diagonals. One has to find the numbers to make the correct sum and then solve the Sudoku Puzzle. Do try this 6x6 Little Killer Sudoku before trying the bigger size i.e. 9x9 Killer Sudoku Puzzles. 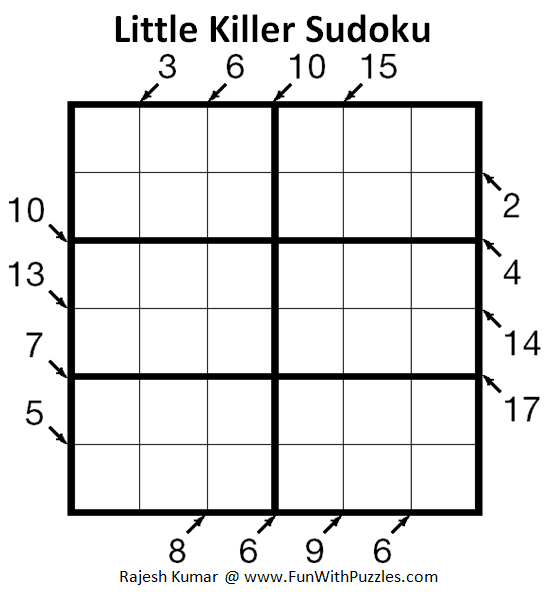 I am publishing this Little Killer Sudoku Puzzle as part of Mini Sudoku Series as 114th Sudoku Puzzle in this Series. 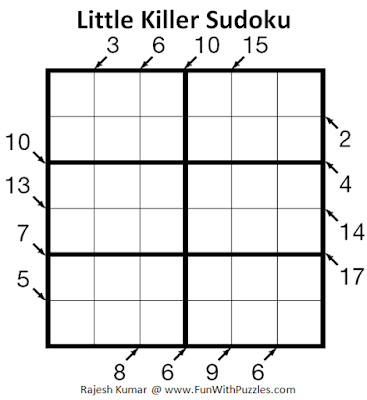 Answer of this Little Killer Sudoku puzzle can be viewed by clicking on button. Please do give your best try to solve this Sudoku puzzle before looking at the answer. This Little Killer Sudoku Puzzle, I am publishing as #114th Sudoku puzzles in Mini Sudoku Series. Here are the next and previous Sudoku puzzles published in this series.